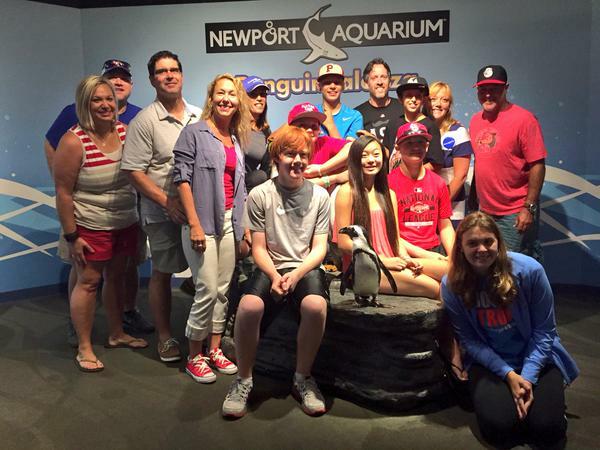 Newport Aquarium animal ambassador Ric Urban and Paula the penguin met four Make-A-Wish All-Star kids and their families before the Wish kids attend the MLB All-Star Game. NEWPORT, Ky. — Four children supported by the Make-A-Wish® Foundation visited Newport Aquarium on Tuesday morning (July 14) as part of their wish to attend the Major League Baseball All-Star Game. Before they attend the All-Star Game later in the evening, the Make-A-Wish® kids received an exclusive penguin encounter at the Kroger Penguin Palooza exhibit, where they met Paula the African penguin. 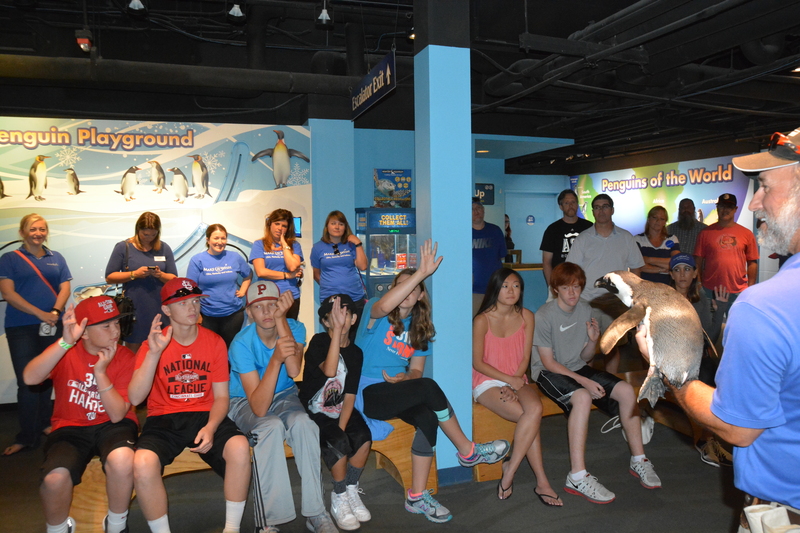 After getting their photos taken with Paula and learning about the biology and conservation of penguins, the Wish kids went on a personal tour of Newport Aquarium led by Ric Urban, animal ambassador for the Aquarium. Following the end of their tour, the Wish kids were presented with Newport Aquarium backpacks filled with aquarium memorabilia and souvenirs. Additionally, Digiphoto Entertainment Imaging provided the Wish kids complimentary photos taken throughout the tour. 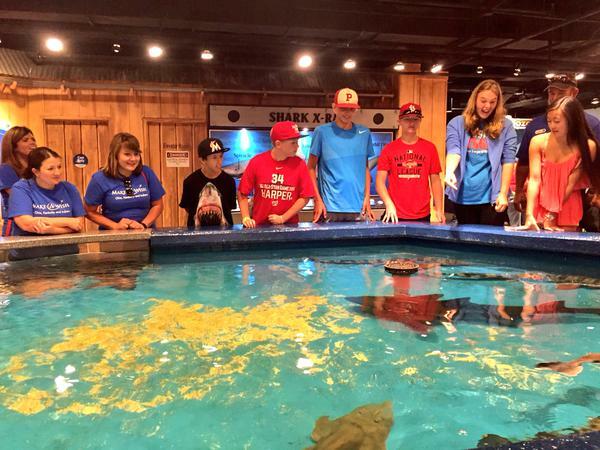 MLB coordinated the Wish kids’ visit to Newport Aquarium through the Ohio, Kentucky and Indiana chapter of the Make-A-Wish® Foundation. In addition to visiting Newport Aquarium during their stay in Cincinnati, the Wish kids participated in MLB activities that included the T-Mobile All-Star FanFest; the SiriusXM All-Star Futures Game and the All-Star Legends & Celebrity Softball Game (Sunday) and the Gillette Home Run Derby presented by Head & Shoulders (Monday). Tuesday evening, the four Make-A-Wish® kids will have their wishes granted by attending the 86th MLB All-Star Game at Great American Ball Park. This entry was posted in Cincinnati Reds, MLB All-Star Game and tagged African penguin, All-Star Game, baseball, Cincinnati, Major League Baseball, Make-A-Wish, newport aquarium, penguins by NewportAquarium. Bookmark the permalink.